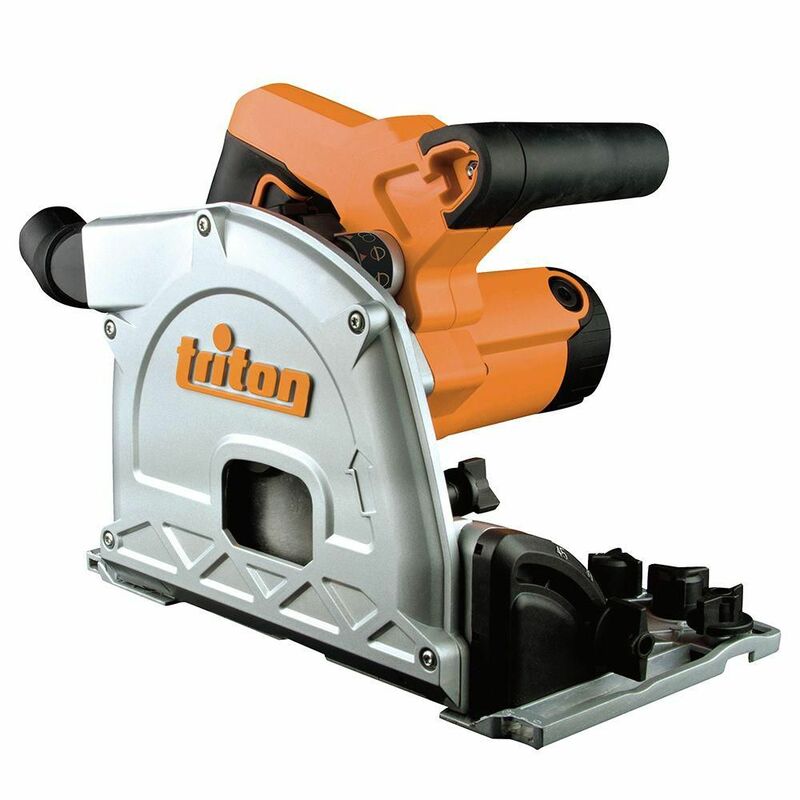 Fit Tritons Plunge Track Saw is the perfect tool for long, precise cuts. The mode selector barrel activates free plunge, scribe, or blade changes, and the cutting width indicators show the exact position where the blade plunges into the workpiece. Other innovative features include Soft Start and variable speed, precision bevel cut adjustments from 0 - 48 while the dual bevel quadrants front and rear provide cutting stability to a depth of 54mm/2 18 inches. Milwaukee's 8-inch Metal Cutting Circular Saw delivers faster, cooler, cleaner, and more affordable metal cutting. Forget showers of hot metal chips and sparks, this saw shears the metal, producing a virtually spark-free wake and cool, burr- and scorch-free edges that don't require post-cut finishing. Materials can be handled almost immediately following a cut, reducing downtime thanks to cool cutting. And you can count on up to 10 gauge sheets and a 1/4-inch steel plate cuts, all day, everyday. More extreme cuts, even those up to a 3/4-inch steel plate are possible when proper operating techniques are used. The M12 FUEL 3 -inch Compact Cut Off Tool delivers multi-material cutting capability in an ergonomic package, optimized for 1-handed use. Spinning at 20,000 RPM and featuring a POWERSTATE Brushless Motor, the 2522 delivers fast and accurate cutting performance in a wide range of materials. The unique reversible blade rotation feature provides users ultimate control over material removal, along with the ability to select their desired blade rotation for the direction they need to cut. For ultimate cutting versatility, the 2522 ships with 3 accessories: a metal cut off wheel, a diamond tile blade and a carbide abrasive blade. The M12 FUEL 3-inch Compact Cut Off Tool also includes a tool free accessory guard and shoe that includes a vacuum adapter for dust mitigation as well as cut depth adjustment. Lastly, the tool also features tool free guard adjustment and an LED light. 12 Amp Plunge Track Saw Fit Tritons Plunge Track Saw is the perfect tool for long, precise cuts. The mode selector barrel activates free plunge, scribe, or blade changes, and the cutting width indicators show the exact position where the blade plunges into the workpiece. Other innovative features include Soft Start and variable speed, precision bevel cut adjustments from 0 - 48 while the dual bevel quadrants front and rear provide cutting stability to a depth of 54mm/2 18 inches. 12 Amp Plunge Track Saw is rated 4.0 out of 5 by 2. Rated 4 out of 5 by Bill2017 from Good saw. This saw is easy to use and the plunge feature works well. Being able to cut wood beyond the 2” depth makes the saw far more versatile then regular circular saws. Pay attention when changing the blade. Most blades install with the printing in the blade facing outward. On this saw you must put the blade on with the labels facing inward. Make sure the teeth on the blade are moving in the direction of the arrow on the saw and not as indicated on the blade. Happy cutting!! Does this saw come with track? If so, how many sections, and how long? The TTS1400 Plunge Saw and the TTST1500 are sold separately. The track is 59'' (1500mm) long and you can purchase TTSTC Track Connectors to join two tracks together.